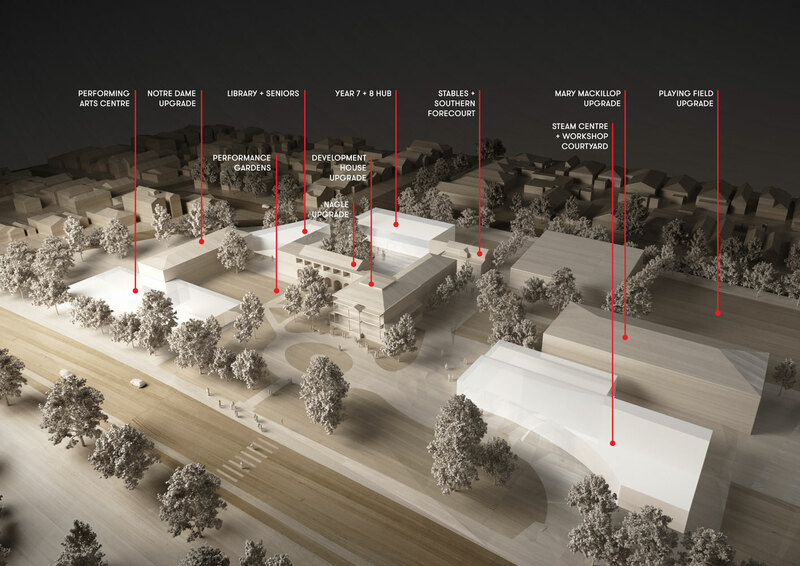 Hayball’s multi-stage masterplan for Domremy College provides a framework for growth over the next 20 years as well as its more immediate 5-year capital investment program. Further stages of growth have been documented to incorporate a robust strategy for future expansion. 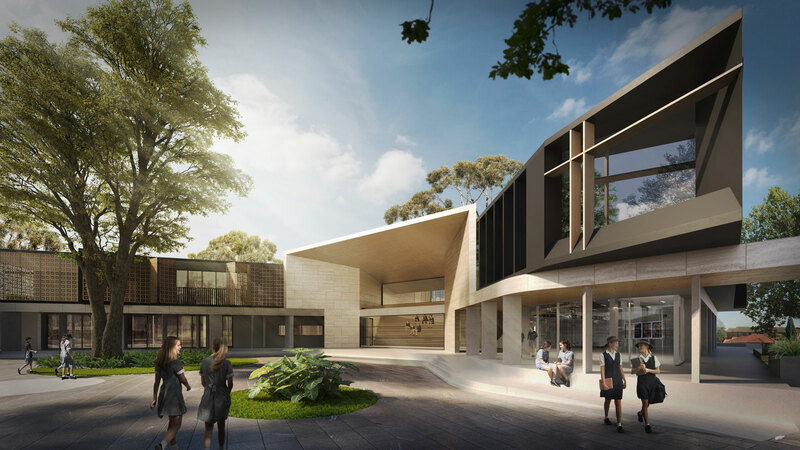 As part of the masterplan design, a tailored Education Brief was compiled by our project collaborator, Dr Ben Cleveland. 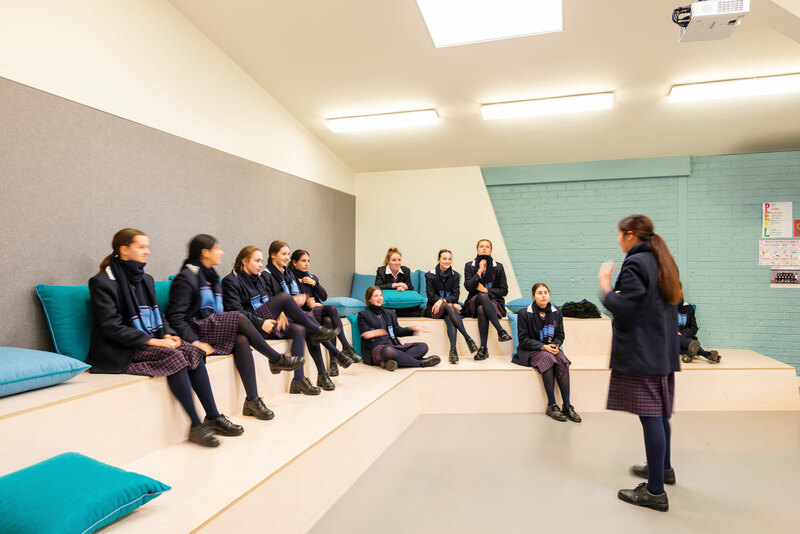 This vital roadmap developed a set of Key Planning Principles focused around the shared goal of achieving “A growth mindset school – towards collaborative, entrepreneurial & interdisciplinary education”. 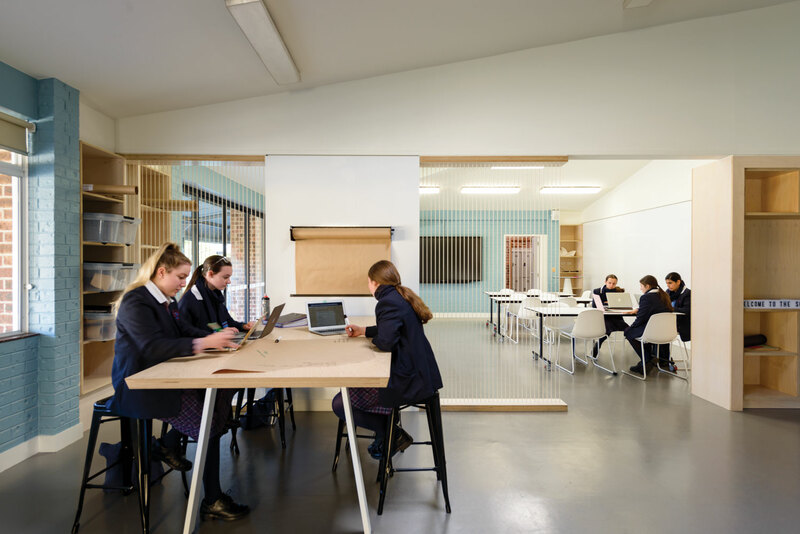 Stage 1 involved the construction of a prototype learning environment within an existing building to test the proposed new spatial concepts. 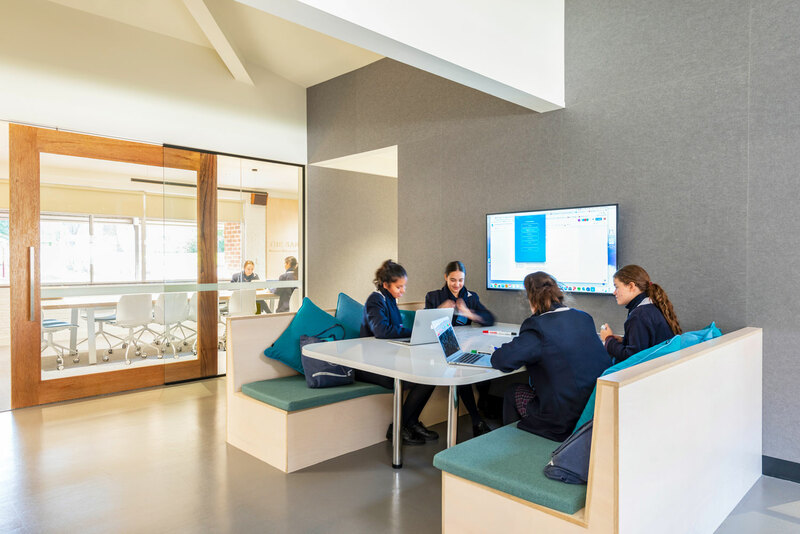 This project was completed in July 2018, with stage 2 of the Masterplan currently being delivered, it is made up of a new two storey Year 7 and 8 collaborative learning hub with a state of the art library, gallery, theatre and senior study area. 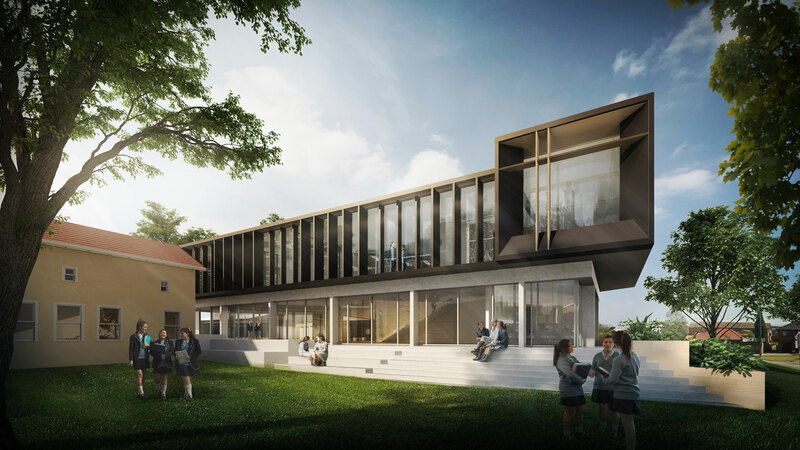 This new building will allow the school to grow from 572 students to a capacity of 810. 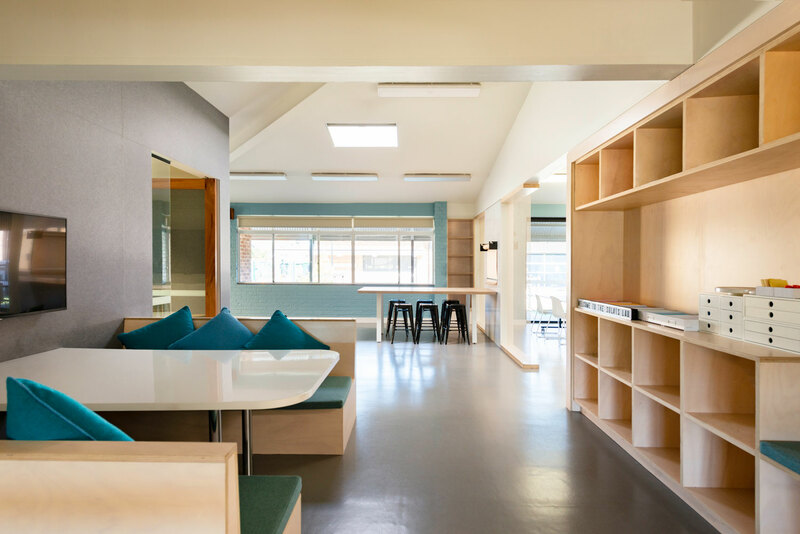 It incorporates an adaptive reuse of the heritage Delapre House and Stables, relocating the administrative functions and student services as well as activating the ground floor. The areas around the new facilities were redesigned to take advantage of the existing central core of the campus.